To view the webinar replay video or slides, "DevOps Tutorial: how to automate your database infrastructure", you must be signed in using your Severalnines.com account. If you don't already have an account you can create one in just a couple minutes. Just click on the "Login to View" button below. 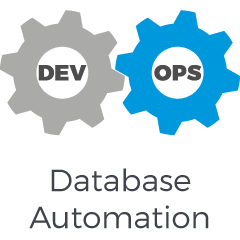 Join our guest speaker Riaan Nolan of mukuru.com, the First Puppet Labs Certified Professional in South Africa, as he walks us through the facets of DevOps integrations and the mission-critical advantages that database automation can bring to your database infrastructure. Infrastructure automation isn’t easy, but it’s not rocket science either. Done right, it is a worthwhile investment, but deciding on which tools to invest in can be a confusing and overwhelming process. Riaan will share some of his secrets on how to proceed with this and he knows what he’s talking about: he saves the companies he works for substantial amounts on their monthly IT bills, typically around 50%. Don’t miss out on this opportunity to understand how you can find efficiencies for your database infrastructure and do watch this webinar to understand the key pain points, which indicate that it’s time to invest in database automation. Riaan Nolan was the First Puppet Labs Certified Professional in South Africa. Riaan uses Amazon EC2, VPC and Autoscale with Cloudformation to spin up complete stacks with Autoscaling Fleets. He saves companies substantial amounts on their monthly IT bills, typically around 50% - yes, at one company that meant $500k+ per year. And he’s participated in a number of community tech related forums. He uses next generation technologies such as AWS, Cloudformation, Autoscale, Puppet, GlusterFS, NGINX, Magento and PHP to power huge eCommerce stores. His specialties are Puppet Automation, Cloud Deployments, eCommerce, eMarketing, Specialized Linux Services, Windows, Process making, Budgets, Asset Tracking, Procurement.